Turn It Off – Love. Life. Practice. 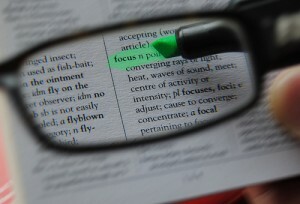 This week the Practice I’m going to be focusing on is focus. It’s kind of a necessity. I have a five-week cross-country tour for my work coming up, and I’m trying to build up a cushion of my desk-work so that I won’t have to worry about it while traveling. That’s going to involve basically being about twice as productive each day for the next eight days. How am I going to accomplish that? Gah. I really hate that word. I went through that phase of thinking I could manage to be productive at many different things at the same time. Then I accepted that I enjoyed a reduction of productivity in favor of more connection with friends and loved ones. A video chat window left open in the corner of the screen, after all, is no different than having someone in the cubicle next to you, right? Sort of. It’s my personal belief that our hunter-gatherer instincts condition us to automatically focus on whatever is moving in the smallest box. I actually experienced this a few times in my performing arts career, and it led me to believe that I could have seventy-three buck-naked dancers cavorting around the stage and a video of Grover playing on an iPhone in one corner…and everyone in the audience would remember his growly “NEAR…FAR!“Â more than any choreography. But for the next few days, I need to get my head in the game. I need to focus on getting these videos done, because during the travel junket it’s going to be much harder to do so. So how will I focus? For a change, I have a solid answer for you. I have the one, true, honest-to-goodness 100% sure-to-work method for focusing. And by “it” I mean everything except your work. No chat windows. Close your email client. Turn off your cel phone (I know, right? It’s like I said gag your best friend and throw them in the river). Then do more. Draw the curtains on the window. Make one cup of your beverage of choice and resolve not to have another until a certain amount of work is done. Music? Wow, that’s a hard one. I can tell you from experience that I have a harder time writing when the music I’m listening to has lyrics (because then your brain is multitasking two different sets of dialogue). And what happens when that song you don’t like comes on? Yep, you break the flow to hit the “next” button on Pandora/iTunes/CD player. On the other hand, I also know that I create video much faster when I’m listening to the “Black Eyed Peas” station on Pandora. So my challenge for myself this week (and by extension to you, esteemed reader) is to try and set aside parts of your workday where you turn it off. See what it’s like. Check out your productivity, check out how you feel, see if it was worth it. Did the world end and you missed the last tweet? Are their search parties out for you because you didn’t update your Facebook status in over an hour? Maybe it’s just me. Maybe you are able to multitask. Maybe I’m just dealing with an ossified forty-plus-year-old brain that can’t keep up with more than one thing at a time. But until you really try…how will you know? Remember, you can now get these posts via audio podcast or now in technicolor video on the LoveLifePractice YouTube Channel. Pingback: » Play Practice Love. Life. Practice.